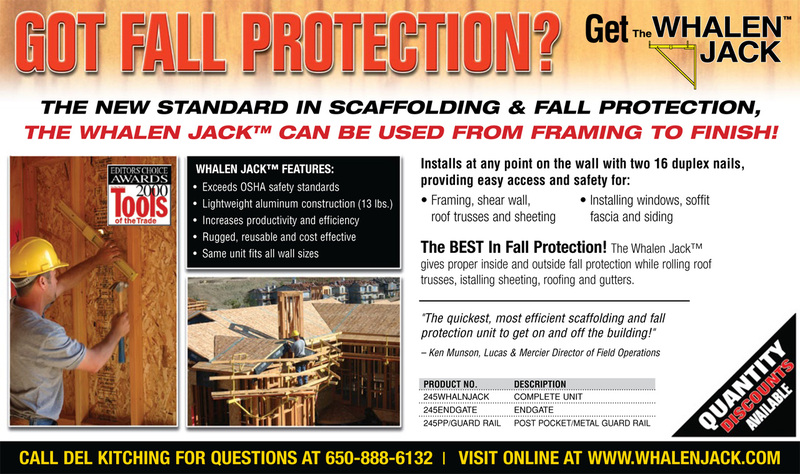 The WHALEN-JACK is the only non-ground-based scaffolding / fall protection system that can be used in each of your principle work steps providing an OSHA-compliant safety platform while doing framing, shear-wall, roof trusses, fascia, roof sheeting, window installation, soffit, and siding. 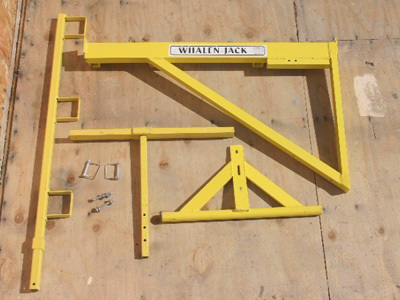 The WHALEN-JACK is used by some of the largest commercial and residential builders in North America. The system has a proven track record completing jobs for military housing, HUD housing, hospitals, fire stations, universities, schools, churches, hotels, motels, multi-family units, condominiums, apartments, custom homes and track homes. Currently we have retail presence in over 500+ stores nationwide (click to our preferred vendors above). On December 22, 2010 Federal OSHA rescinded a fifteen year directive (STD 03-00-001) to try to stop the current fall/fatality rate; the new directive (STD 03-11-002) will start March 15, 2013. This means nationwide, that whenever people are working in residential construction and are at least six feet above lower levels, they must be protected by conventional fall protection. (read more). 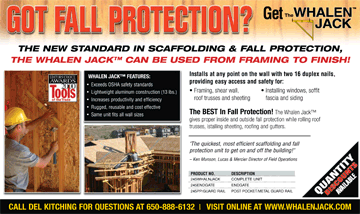 The WHALEN-JACK is a featured product in OSHA’s new residential construction compliance guide for fall protection (click to view PDF) and residential fall protection presentation (click to view PPT).